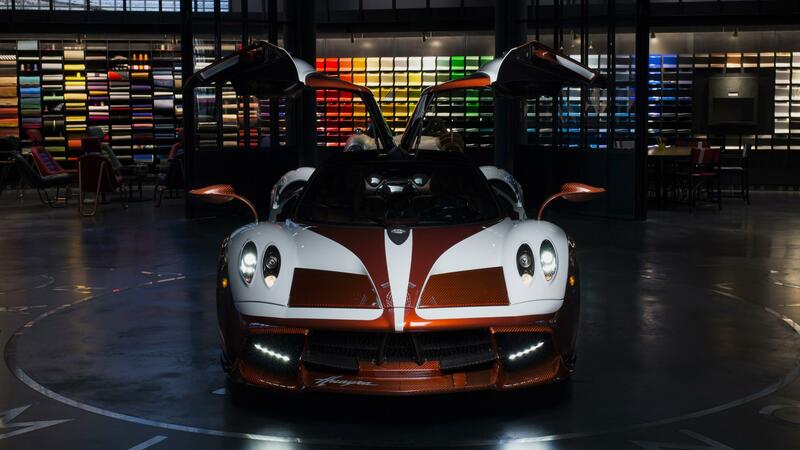 Pagani Automobili remains the perfect mix of boutique supercar maker and luxury coachbuilder. While the Italian brand only offers one model to customers, the dastardly quick Huayra, it can be ordered with essentially any option to fit the bill for the most eccentric of tastes. 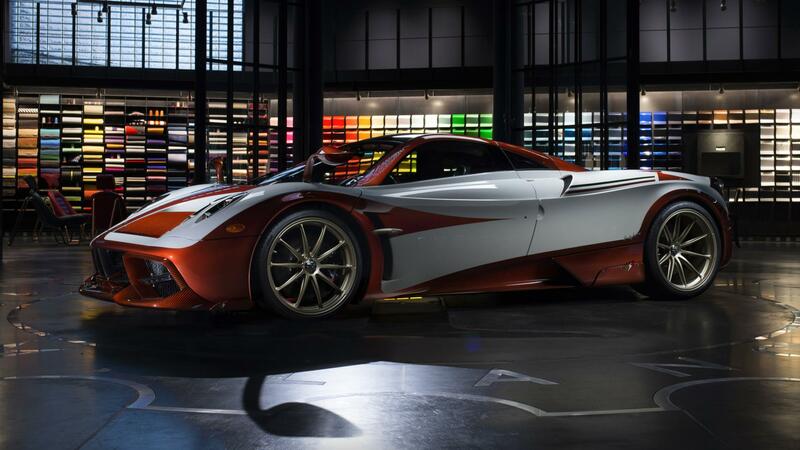 Additionally, Pagani often builds exclusive one-off models that pay homage to Italian heritage, and this, the Huayra Lampo, is a continuation of that concept. 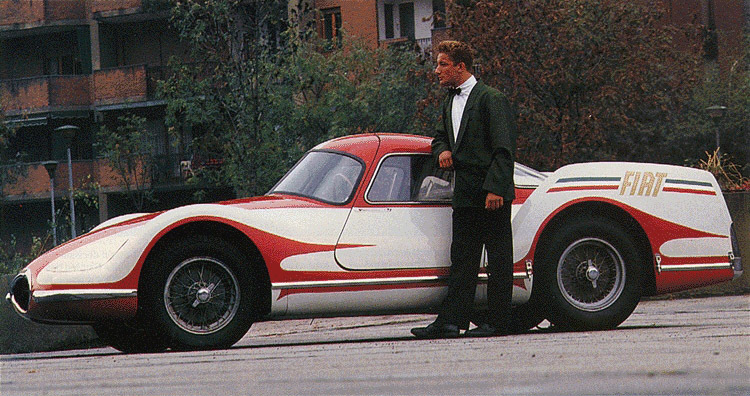 Named for the Italian translation of "lightning," this Huayra actually plays off of the Fiat Turbina concept from 1954. A unique livery commemorates the past Turin-built prototype with white and orange-hued carbon fiber spread across its exterior. 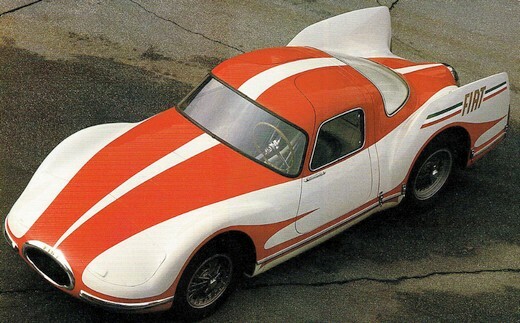 This scheme recreates the wild auto built in the mid-20th century that originally sported a midship-mounted engine with 300-horsepower and a drag coefficient of just 0.14. 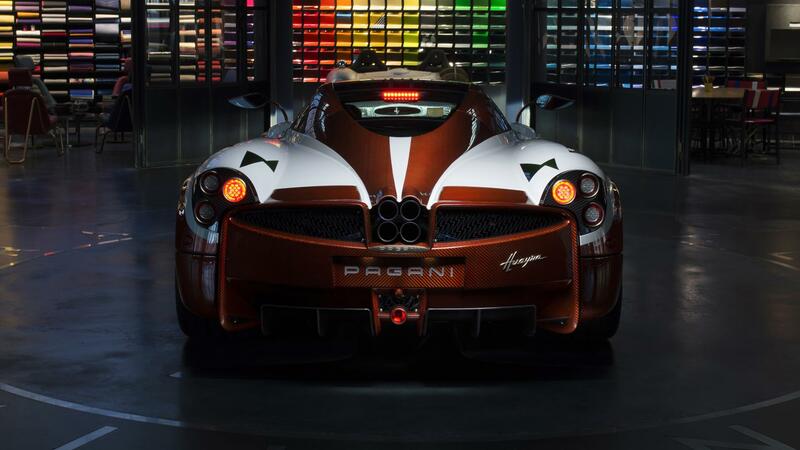 Horacio Pagani and his company worked to surpass a simple look-a-like and incorporated the most in-depth detail for the Lampo tribute. 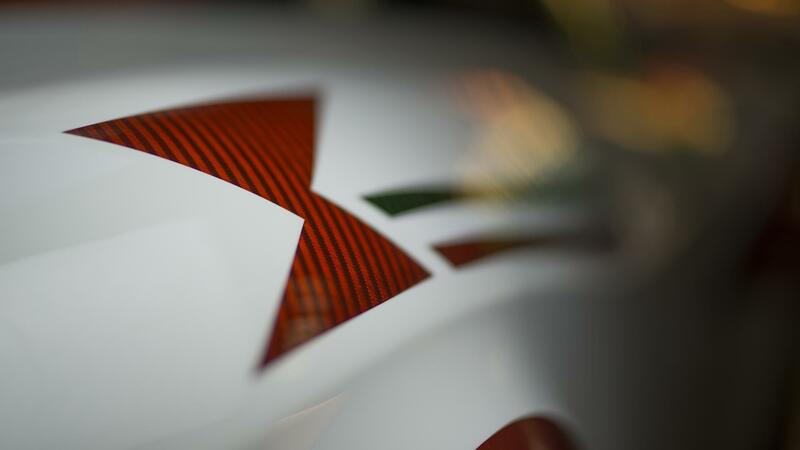 Transparent paint has been applied to expose the futuristic carbon fiber weave beneath and the rear deck is also adorned with an Italian flag, reinforcing that idea of national pride. 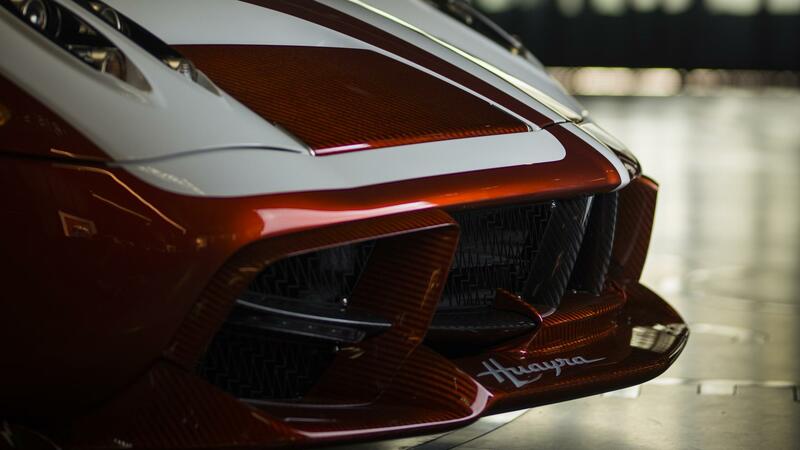 New bodywork and tweaked aero bits further harken back to that slippery design of the Turbina, a tool that the automaker utilizes to improve stability and direct air into the Huayra's revised intercoolers. The forward-thinking theme then carries on to the Huayra's interior where its emphasis on design is exposed. Finely stitched leather and adonized aluminum fill the cockpit and highlight those details that Pagani has become known for, enveloping the driver in a retro environment that embodies the Lampo's extraordinary ethos. This, the only Lampo edition of the Huayra, is built upon the highest-spec offered by Pagani dubbed the Tempesta package. That means more power from the AMG-sourced twin turbo V-12 and the best available performance package in terms of handling and ability. 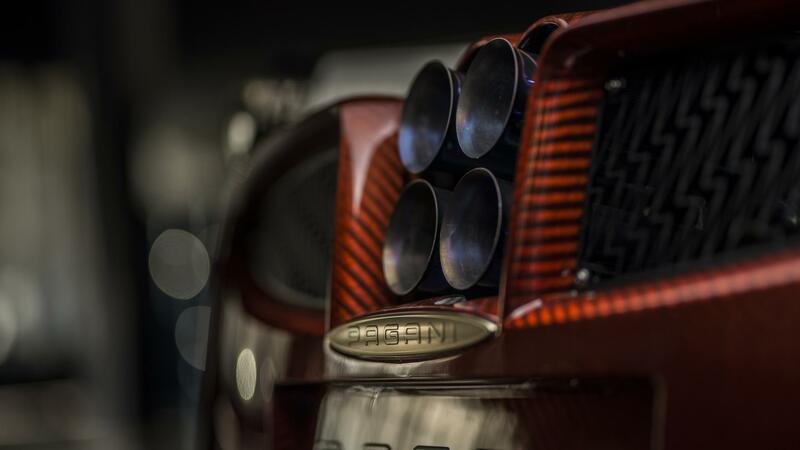 Collectively, it's one of the most time-consuming projects ever taken on by Pagani as Garage Italia Customs tells, tying up two years worth of development in the process.